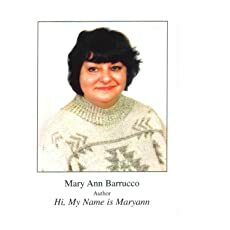 Mary Ann Barrucco is a average middle age, middle class Italian American woman born and bred in Bensonhurst Brooklym After she married her husband Eddie They moved to Bay Ridge Brooklyn, Mary Ann attended and graduated Lafayette High School. Her mother passed away 2 days later from pancreatic cancer. A few months later Mary Ann met her husband Eddie. After three years of dating they married. Mary Ann had the wedding of her dreams and was looking foward to her new life Mary Ann and her husband Eddie both worked for New York City Department of Finance. 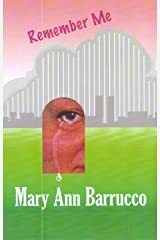 Mary Ann's dream for the future became a nightmare when her new husband's drinking addition went spiraling out of control with no intent of stopping, Her mounting feelings of helpleness led her to ALANON where she learnt the full impact of the disease and how her angry outburst contributed to his weakness and made her victim and victmizer. 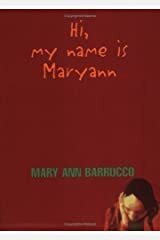 Her struggles continued when Mary Ann escaped by becoming a compulsive gambling. The icing on the cake is when Eddie got sick with a heart disease and he needed a heart transplant or he would die. Mary Ann has shown sich courage and strength throughtout this ordeal. She is one of the longest member of Gamblers Anonymous in the New York Area of twenty two years. 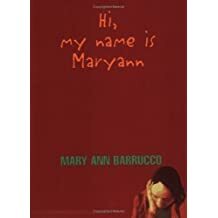 She was also nominated Who's Who of American Woman in 2004 I wrote Hi, my name is Mary Ann because I wanted to heve readers know there is always hope. 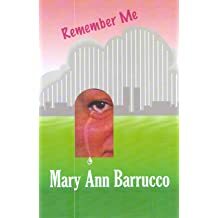 Mary Ann will be publishing 'REMEMBER ME' a sequel to Hi, my name is Mary Ann soon.